Today, I want to show you, the easiest method on how to subscribe for the Etisalat 2gb for ₦2,000. 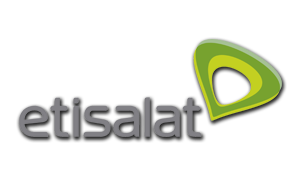 In this article, I will be showing you, the subscription code for Etisalat 2GB data for two thousand naira only. Alternatively, you can choose to get the Etisalat 1GB For 1000 Naira Only. How do I Subscribe for Etisalat 2gb for ₦2,000? 1st Step: You are required to load the sum of Two thousand Naira *₦2,000) on the simcard you want to use for the subscription. Please note that you can buy the recharge cards through any means you’ve been using before, including quickteller, ATMs, mobile money or your internet banking platform. The only requirement from you, is to ensure that you have the required two thousand naira (2,000) as your airtime balance. 2nd Step: When you do, Dial the code above (*229*2*8#), then tap/press the send button and instantly, you will be credited with 2GB data to browse the internet.